French Kiss for Everyone ! IOC : Not calibrate yet. Gimbal : Not calibrate yet. - Off: the drone up the nose, but still off. - In flight: the drone shifts without any action from me. I'm a little confused by your English. When you say nose up do you mean it is tail heavy or is it hovering with nose up. You either have the arms not level to main frame which will cause nose to sit up or if it's tail heavy you need to move your arms in the holders to reach center of gravity. 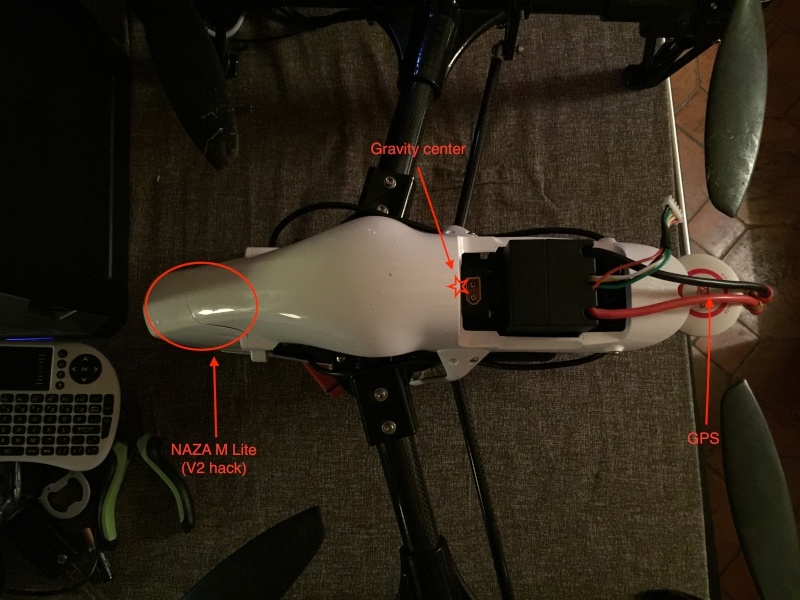 I am running a naza m v2 and it flies great.